Filmmaker Kabir Khan is currently preparing for the upcoming film 83 which will narrate the cricketing journey of the legendary cricketer Kapil Dev when he was newly-appointed as the captain of the Indian cricket team and how they defeated West Indies during the final of the world Cup in 1983. The film will track the coming of age and not just a cricketing team. It is surely a story that deserves to be told and lead actor Ranveer Singh had once said, “83 is an “incredible underdog story”. While Ranveer will be seen playing the lead role of Kapil Dev, the kegendary cricketer himself is actively a part of the preparations and the shoot of the film. 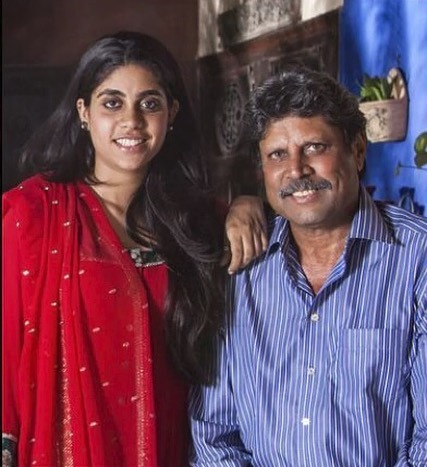 Reports say that Kapil’s daughter Amiya has turned assistant director of the film. Chirag, who is Sandeep Patil’s son, will be seen playing Ranveer’s father. Chirag said that both their fathers played in the 1983 World Cup and he met Amiya recently. The actor revealed, “We met for the first time while working on the film. She’s from Delhi, I’m from Mumbai and she’s way younger than me.She’s part of our daily training sessions since she is on the direction team. So, she keeps us updated on any meetings we are supposed to attend. Whenever I’m in Kabir’s office she’s there and is very involved in the process, be it planning the costumes or the schedule”. While talking about the schedule of 83, the team is expected to head to Dharamsala in the next few days for a bonding and training session after which they will head to London, Scotland to begin shoot for the film from May 15, 2019.